Atletico Madrid will finalize the loan signing of Chelsea striker Alvaro Morata in the coming days, according to reports from Spanish media. 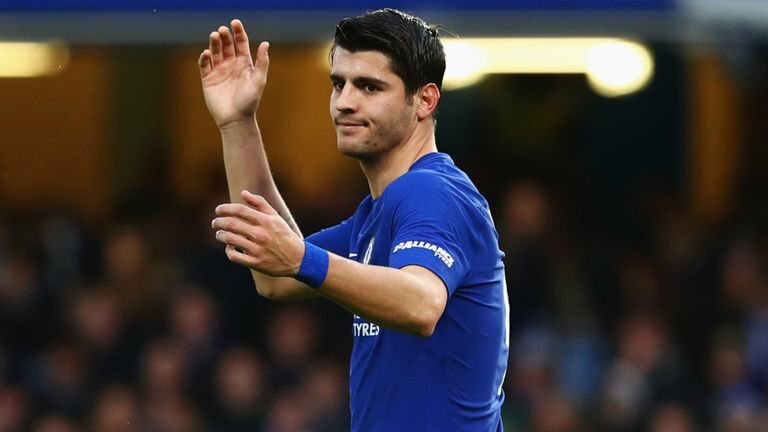 Morata joined the Blues from Real Madrid in a €65m deal last summer but has struggled for form for the majority of his time in the English capital. The report states that the striker has agreed the switch to Atleti and ‘all details’ are in place, with just an official announcement now waiting. Another report in Marca claims a deal will be finalised on Tuesday which will see the Spain international move to the Wanda Metropolitano until the end of the season. Whilst Chelsea are said to prefer a permanent sale, Atleti are only in a position to negotiate a loan arrangement and are likely to need to move players on. Los Rojiblancos are at the limit of their capped wage at €293m per annum whilst the futures of forwards Nikola Kalinic and Gelson Martins – who is negotiating with Monaco – are said to be vulnerable. Morata played for Atleti during his youth career and while Sevilla and Barcelona have both been linked to his signature this month, a move back to the Spanish capital now appears the most likely outcome.